Samsung has just launched the latest Galaxy Note smartphone. 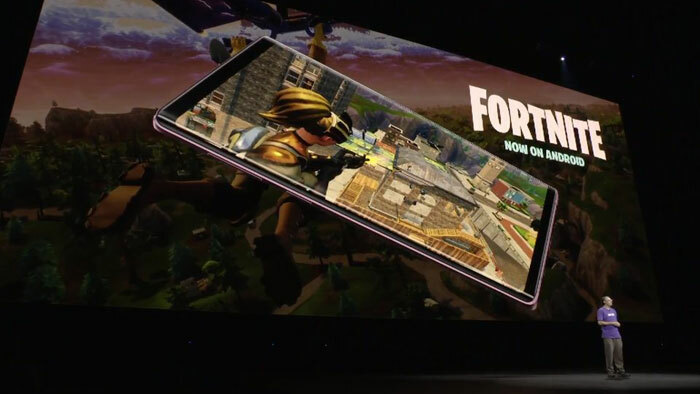 The new Galaxy Note9 comes with the biggest screen ever on a Note, a 6.4-inch edge-to-edge Super AMOLED 516ppi display (without any notches) said to be great for productivity, multi-tasking and content consumption. At today's Unpacked presentation the various presenters highlighted three qualities of the Samsung Galaxy Note9 which have been implemented after customer feedback. 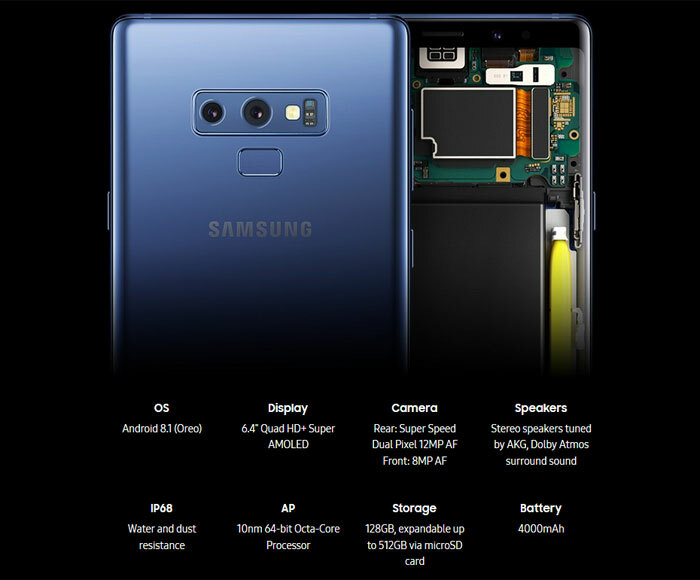 The new Note9 delivers; all day battery life thanks to its 4,000mAh battery, the ability to store more thanks to the minimum capacity being 128GB (with models up to 512GB) plus the ability to slot-in microSD cards up to 512GB, and the speed and power available to the end user from the 10nm SD845 octa-core processor and super-fast networking. The S Pen is always an important aspect of the Note series and invariably gets more features in each iteration. 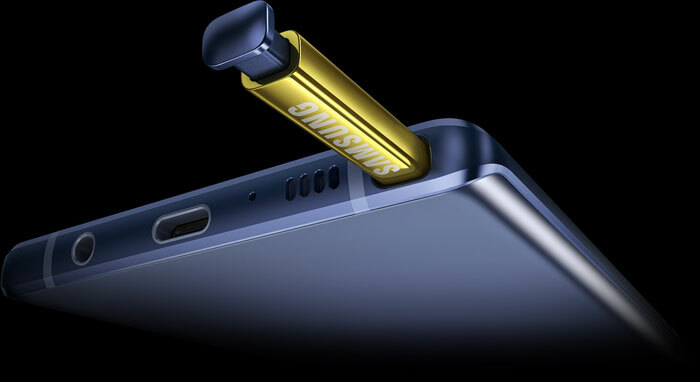 This time around, as previously rumoured, Samsung has equipped a Bluetooth capable S Pen. Thanks to this connectivity option you can use the S Pen as a remote for taking selfies or group photos, slide presentation control, movie transport control and more. It has a built-in battery which is charged when in the silo. Even if the battery has no power it will still work as a regular S Pen for note taking, signing, drawing, screen-off memos and so on. Samsung discusses the camera in some detail in its press release but it wasn't featured very highly in the Unpacked presentation. I think this is because it is very good but an incremental upgrade. It is good to see the rear camera with telephoto/wide lenses have even wider apertures and dual OIS. 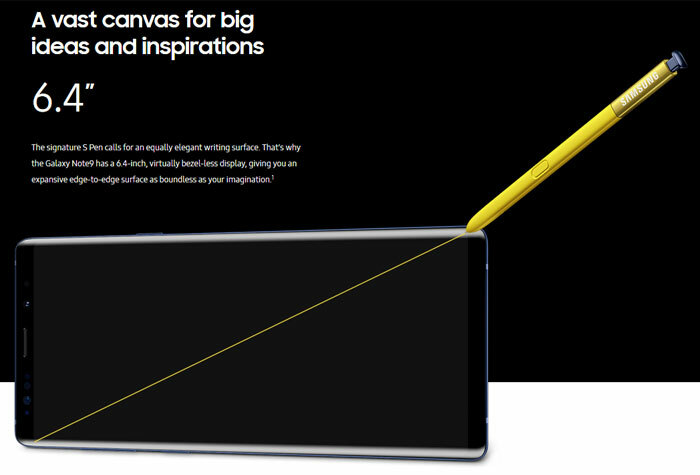 The new Samsung Galaxy Note9 shares a lot of qualities with the new Galaxy Tab 4. On stage a pro-doodler demonstration even swapped between the two devices. If you remember how the Galaxy Tab 4 was heralded thanks to its DeX functionality - that is also present here, allowing users to be productive with the Note9 and a big screen. There are various DeX adaptors such as the HDMI Adapter (EE-HG950), Multi Port Adapter (EE-P5000) and DeX Cable (EE-I1300). Other important features of this smartphone are its fast wireless charging, IP68 water and dust resistance4 and Samsung services such as Samsung Health and Samsung Pay. Biometric security is catered for with Iris Scanner, Fingerprint Scanner, Facial Recognition or the 'Intelligent Scan' combo of iris and face. 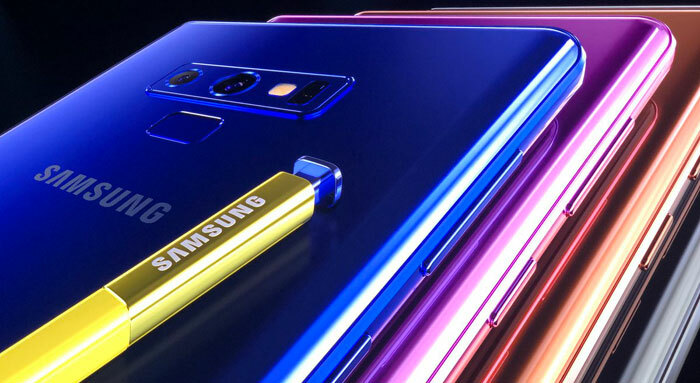 The Samsung Galaxy Note will be available from 24th August in Midnight Black, Lavender Purple, Metallic Copper with matching S Pen, and Ocean Blue with a Yellow S Pen. US pre-orders Start from 10th August (tomorrow) and pre-orders get a free pair of AKG noise-cancelling headphones (worth about $299) or 15,000 in Fortnite V-Bucks. Entry level price is $999 (6GB RAM / 128GB storage) rising to $1,250 for the model with 8GB RAM and 512GB of storage. On this side of the pond, I've been emailed by Carphone Warehouse in the UK saying you can get a Galaxy Note9 for £46 per month on with 30GB per month and zero upfront cost. Of course many more retailer offers will be going live as I write this, so shop around. Samsung also launched a new Galaxy Watch. Entry price of $1000 (that will be £1000 then…)…. I'm sorry but who in their right minds thinks that sort of price is ‘acceptable’ for a mobile phone. I don't care how much stuff they shove into it, there's no way on this planet I would pay more than I would for a mid/high laptop etc, for around £1000 I can get a i5 8GB surface pro etc which would be a hell of a lot more productive. Me neither but when you consider the device has the functionality of a decent camera, phone and computer (albeit nothing like a laptop) all in one with top tier internals and sweet amoled display i can understand how the price gets there. Add in the fact most people seem content to put everything on finance/pay monthly then i guess there will be a market for it. So high end products in your opinion shouldn't exist? 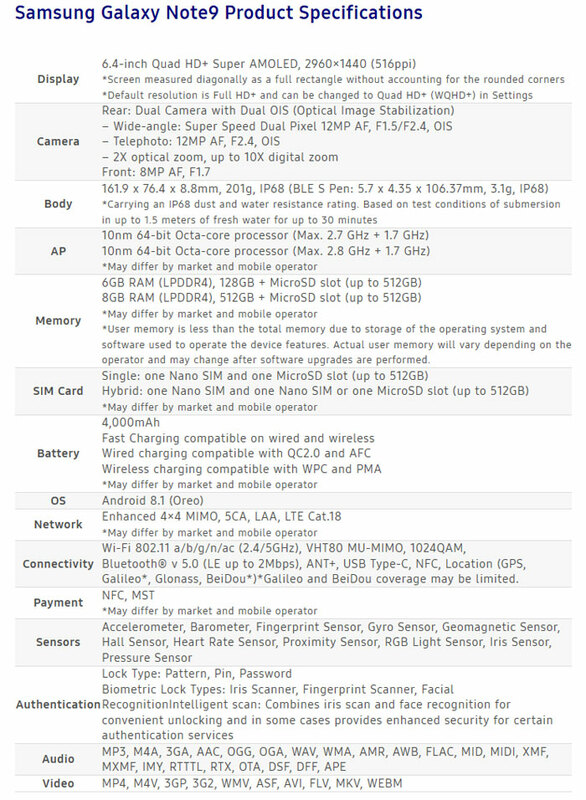 Looking at the specs of this phone; there are worse ways to part with a grand.